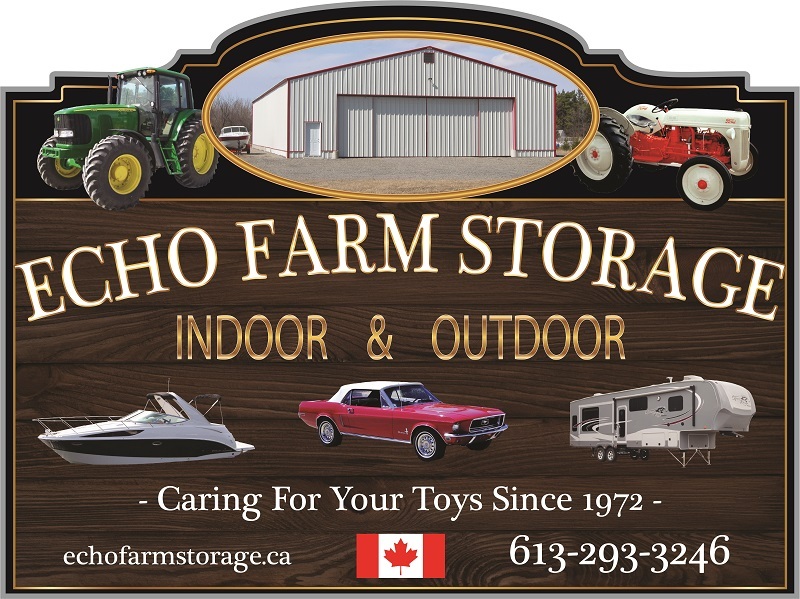 The Story of Echo Farm Storage Inc.
Echo Farm Storage Inc. was started in the early 1970’s by Craig Stratton who was asked to store one of his friends tent trailers for the winter. The first storage building was built in 1972, and it has since become a successful family business with many changes over the past 45 plus years. Today, Craig’s son, Brian, manages the business with help from the rest of the Stratton family. Sadly, Craig passed way in late 2018 at the age of 86, after a hard-fought battle with Parkinson’s Disease. The storage area is adjacent to the family homestead which was built in 1865, a few years after the land was settled by Craig’s great-grandparents in 1834. The 200-acre farm is still active today as a small cash crop operation managed by Brian and his wife Melanie. We’re very proud of our storage facility and treat each storage item as if it’s our own. Because of this, the vast majority of our storage clients are return customers. But don’t take our word for it, hear what our customers have to say by looking at our customer testimonials.